Still Light is an exhibition of Alex Lowery’s remarkable addictive and contemplative paintings of the Chesil beach from West Bay to Portland. Often compared to Edward Hopper’s work, Alex Lowery is collected by many locally and internationally. 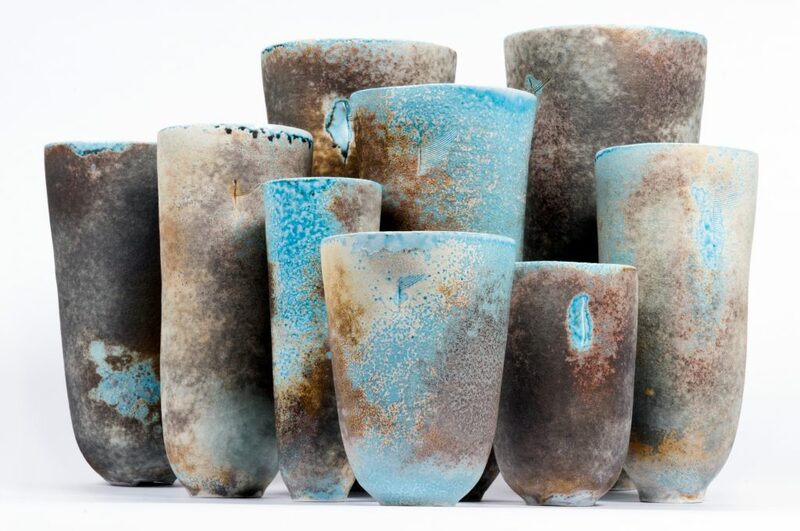 Soda-fired porcelain by the eminent Irish ceramicist Jack Doherty seems to catch the essence of sunlight and water. Petter Southall’s exceptional steam-bent furniture combines design flair with superb craftsmanship using beautiful Northern European hardwoods in the solid with tactile natural finishes. In West Bay, park opposite Haddon House Hotel and walk towards the harbour, we are on the right before the fishing tackle shop. Entrance is through gates on West Bay Road to our gravel yard. Café Sladers is open daily serving heavenly seafood and vegetarian/vegan lunches, breakfasts and cream teas.